This ability to analyze my behavior, in the moment, is the result of much practice. Over the past 15 years I’ve had to learn to control a temper I never used to have–a temper that’s the by-product of a condition that for most of my life I also didn’t know I had. My twin birth defects of spina bifida occulta and a tethered spinal cord were discovered in 2002, following a hard fall while running trails. It took nine months, three neurologists, a spinal tap, two MRIs, and dogged persistence on my part to receive an accurate diagnosis for the horrible, months-long headaches, tinnitus, dizziness, fatigue, and brain fog: spontaneous intracranial hypotension caused by leakage of cerebral spinal fluid (CSF). Because I kept running whenever I could, the first two neurologists didn’t believe my headaches were bad enough to fit the CSF leak diagnosis; most patients can’t tolerate being upright, let alone run. It was the third neurologist–a former endurance trail runner himself–who understood that running was my coping mechanism and that, as an ultra-distance trail runner, I had high pain tolerance. After many cycles of CSF leaks–which I jokingly refer to as being a quart low–I can match the degree of the leak to personality changes that weren’t initially obvious to me. My emotional reactions were something new. I was easily irritated, to a greater degree and much more quickly, by people I knew as well as by total strangers; by loud noises, traffic, computer glitches–basically by normal life. Before that fall in 2002 I was upbeat, with boundless energy for friends, work, activities, even chores, I now felt unmotivated and easily angered. I’ve learned to anticipate the bad times, as well as situations and people who are triggers. If unable to avoid them altogether, I stop my reaction pre- or mid-outburst with a mental “Chill!” that reminds me that the problem is me, not them. But it makes fitting in with cultural norms regarding work schedules and socializing challenging. I berate myself for not getting enough done, for sleeping too much, avoiding people...for not being me–the me I was before CSF leaks. Cutting myself enough slack to rest and heal with each new leak is tough! Almost unconsciously, I’ve crafted a lifestyle that accommodates my condition–one that puzzles family and friends. Abandoning a 20-year legal career, I left Seattle in 2005 to live on five acres in rural Idaho. I knew I needed space and quiet to escape having to cope with too-close neighbors or typical urban cacophony. I left cushy jobs with good benefits because dealing with co-workers, work schedules, and commuting was almost unbearable. I’m now self-employed, working from home, in charge of my own schedule. Most days I nap when “normal” people are taking a lunch break, which allows my CSF levels to recoup. Rest and caffeine are the only treatment options that help. I shun most social situations, especially big, noisy gatherings. I keep running, always with my dogs, who are my emotional therapists. The pounding is sometimes excruciating inside my head, but I run nonetheless–gently, less far, no longer racing–because it helps me cope. That runner’s high and sense of well-being are worth the extra pain. Running trails in the forest among trees, streams, wildflowers, and wildlife, and moving, no matter how slowly, keeps me sane. In those moments, I don’t feel disabled, I don’t think about pain. My creativity flows and I feel normal for a while. Today I’m honest and open about my condition and its emotional impacts. I’m more stoic–taking each day as it comes, grateful for its gifts, not dwelling on the former “healthy” me. My dogs help defuse the stress of chronic pain while joining me in a lifestyle that accommodates my disability and makes me happy. I wish a medical professional had warned me what was ahead emotionally, that I hadn’t had to figure this all out on my own. Discovering the advocacy organization Spinal CSF Leak Foundation, and online resources this past year have been a godsend. Sharing stories, lessons, and (most of all) hope has helped me know that I’m not alone. Experts by Experience is a collaboration between Inspire and Mayo Clinic Connect, online support communities for patients and caregivers. By sharing their stories, patients and caregivers awaken, inform, and strengthen the capacity to partner in their care. The stories also help clinicians and non-medical professionals in health care implement patient-informed practices in their interactions and communications, by uncovering opportunities for quality improvement. The series showcases the value of shared experiences and features contributors from around the globe. About the author: A recovering attorney and freelance writer, Rebecca Wallick lives in the mountains of central Idaho with her two dogs, working from home as creator/publisher/editor of McCall Digest, an online community magazine. 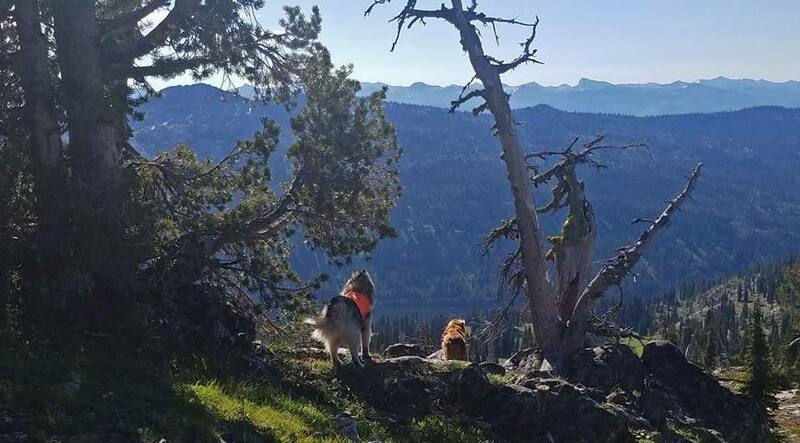 When not writing or napping, she’s exploring the nearby Payette National Forest in all seasons with her canine companions.